Going by San Luis Obispo County’s average rainfall numbers, most of the county failed to reach average precipitation in the 2015/2016 rainy season. And with the county’s ever changing average rainfall numbers, much of the county is below averages even during the current season. At the same time, county staffers are applying for grant monies based on drought conditions. In San Luis Obispo County, average rainfall numbers have skyrocketed during the four years of drought. In some cases, the county’s averages do not equal the averages of the data provided. For example, three years ago, the county listed the average rainfall in Santa Margarita at approximately 15 inches. Then last year, Santa Margarita received 16.57 inches of rain. 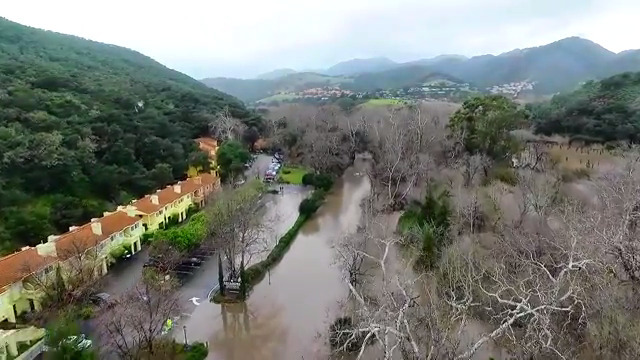 But because the county jumped the annual average rainfall amount to 20 inches, Santa Margarita fell short. 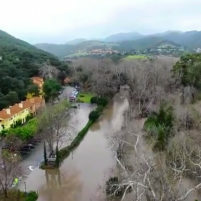 In November, the county bumped the average annual rainfall in Santa Margarita from 20 inches to 26 inches, which is unusual because since 2005 Santa Margarita has had over 26 inches of rain one time, during the 2010/2011 rain year. In another report, the county lists the average rainfall in Santa Margarita at 15.59 inches. SLO County Public Works Director Wade Horton said that the county erred in the 26 inch average and would be correcting that number. As for the other differing accounts, Horton said staffers average different data sets which lead to varying results. In December, the county listed the annual average rainfall at 14.7 inches in Templeton, just above the 13.86 inches Templeton received in the 2015/2016 rainy season. During January’s heavy rains, the county bumped the average rainfall in Templeton from 14.7 inches to 19 inches while the data provided averages to 9.42 inches. With current rainfall totals during the 2016/2017 rainy season at 17.34 inches, Templeton has not yet reached average rainfall, according to the county’s latest average rainfall total. For the city of San Luis Obispo, the national weather service reports the average precipitation is 19.02 inches. SLO received 19.02 inches of rain in the 2015/2016 season. However, in another report the county claims the average annual rainfall in SLO at the reservoir is 25 inches. Then if you click on monthly reports, the county reports the annual average rainfall for the same site is at 15.59 inches. When applying for federal grant monies, agencies are required to use official average precipitation numbers garnered through a preset methodology, according to The National Weather Service. Currently, official averages utilize 30 years of data from 1981 through 2010. 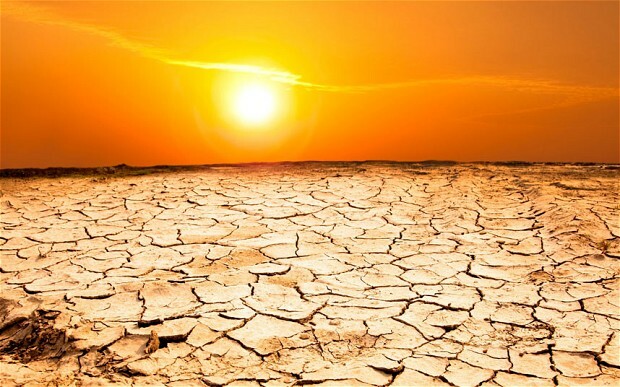 In 2020, the averages will be recalculated utilizing data from 1991 through 2020, said William Brown, a meteorologist with the National Archival Center for Weather and Climate. Horton said the county’s official averages come from a 42 year period from 1955 through 1998. However, the link was not to The National Weather Service or archives but to the Regional Climate Center which provides information from a group of regional, state and national agencies. Don’t miss breaking news stories and investigative reports. Get CalCoastNews email bulletins by sending an email to velie@CalCoastNews.com or becoming a member of the CalCoastNews Club. Do you appreciate CalCoastNews’ investigative journalism, local commentary and breaking news reports? Help us expand our coverage amid ongoing attacks on our advertisers by those attempting to silence the press? Become a member of the CalCoastnews Club. While CalCoastNews does not charge readers, your contribution will help expand local news coverage and increase investigative reports. We are asking supporters to purchase club memberships for $10 to $50 a month. Reoccurring payments can be made through PayPal. Click here. Thank you for supporting independent journalism on the Central Coast. Wade Horton and his alternative facts. He has surrounded himself with people that are beholding to him, rather than competent individuals. This is just the surface of the lies that stem from this group. If anyone questions them they are pushed out. Hitler proffered alternative facts and fired anyone that questioned him. hijinks’ comments have the ring of truth. It is County culture that anyone who disagrees with Adam Hill is fired. Period. Same is true of John Wallace, Paavo’s mentor. There’s big, big money in water and they all own it.